Microsoft Ignite 2017 North America in Orlando is only a few weeks away and many of us have begun filling their session builder with interesting sessions, corresponding to their interests and knowledge. I decided to compile a list of the Active Directory, Azure Active Directory, Graph, Group Policy and Enterprise Mobility + Security (EM+S) related sessions at Ignite 2017. I’ve compiled the list below, divided per Ignite session type and arranged by date, since Ignite offers breakout sessions, theater sessions, workshops, hands-on labs and even studio recordings (not all apply to identity). When your goal at Ignite is to learn about the different Active Directory technologies and Group Policy topics, breakout sessions offer the most bang for your buck. In 75 minutes, speakers show technologies with presentations and demos. Windows devices in Azure Active Directory: Why should I care? 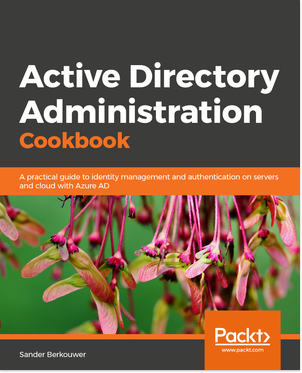 What’s your Active Directory recovery plan? When you’re not attending Microsoft Ignite, this year, use the above list of Identity-related sessions to convince your manager. When you are attending Ignite and are into identity, please use the above list to add some identity flavor to your session builder: especially the sessions I’ve denoted with a star are worth your time. Of course, I invite you to visit my community session, but be sure that with every presentation, a certain amount of booth time is involved: contact me with any questions you may have.